The UN Security Council on Wednesday voted unanimously to withdraw its sanctions on Eritrea, nine years after. The move is coming against the backdrop of ongoing landmark peace initiatives sweeping across the country and the Horn of Africa region. The UN had in 2009 slapped Eritrea with an arms embargo, asset freeze, and travel ban over allegations that the country supported al-Shabab militants in Somalia. The resolution, backed by 13 votes in favor, was passed after the UN Security Council accused Eritrea of arming, training and equipping armed groups including al-Shabab. 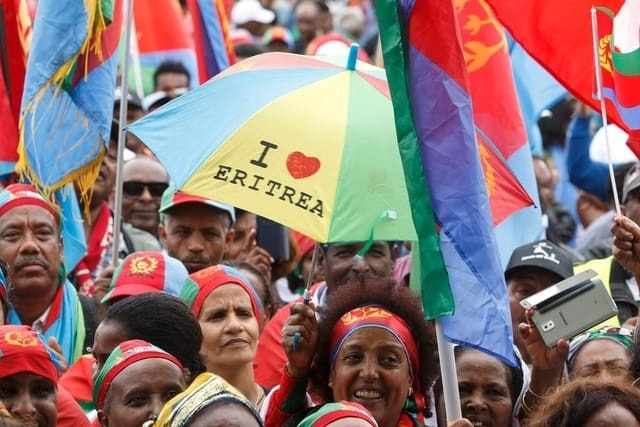 Aside from its alleged backing of al-Shabab militants in Somalia, Eritrea also came under the storms for human rights abuses and mandatory national service conscription, which has led to tens of thousands of young Eritreans fleeing the country for Europe. The Eritrean government has consistently denied backing al-Shabab militants, describing the allegation as a “fabrication” created by US intelligence officials. When the sanctions were imposed, Araya Desta, Eritrea’s ambassador to the UN, dismissed the sanctions as “ludicrous punitive measures”. But such explanation and other efforts trawled to see the sanctions lifted were largely unsuccessful. During these periods, the UN Security Council has always voted to maintain them, claiming the country was a destabilizing factor in the Horn of Africa region. The narratives have however changed since the thawing of erstwhile hostile relations between Eritrea and neighboring countries, especially the historic peace-deal with Ethiopia which brought 20 years of bitter rivalry to an abrupt end. This has not only improved diplomatic ties between the two countries but also served as a model to the region at large. The renewed relationship between Ethiopian’s new reformist leader Abiy Ahmed and Eritrea’s President Isaias Aferweki, for instance, seems to be influencing other neighboring leaders positively- a move many see as unprecedented. A conspicuous testimony of such influence was laid bare when Eritrea, Ethiopia, and Somalia recently signed a joint agreement of cooperation, and leaders of the three countries have met personally on three different occasions this year – further shoring up prospects for stability in the Horn of Africa. Also, relations between Eritrea and Djibouti are also thawing after years of a border dispute. There is now even an ambitious talk of the Horn of Africa countries forming an economic bloc of sorts. Wednesday’s resolution acknowledged that UN monitors have “not found conclusive evidence that Eritrea supports Al-Shabaab” and declared that the sanctions and arms embargo ended with the adoption of the measure. Ethiopian Ambassador Taye Atske Selassie said the end of sanctions will “definitely open up a lot of possibilities for Eritrea,” drawing foreign investors and bringing Asmara back into the international fold. “The decision will give an impetus for us to look to what the future can offer to the people of the region while at the same time send a message for us to engage in solving current problems and challenges,” the ambassador told AFP. A turning point for the Horn of Africa? The lifting of sanctions on Eritrea has continued to reverberate hopes across the Horn of Africa region. Many believe the development could signal a fresh breath to what had hitherto been a violent-stricken and politically unstable region. The sanctions have taken a huge toll on the country since they were imposed. Whether or not Eritrea can leverage on the withdrawal of sanctions for its socio-economic development remains unseen. “But Eritrea will have now to step up. It can no longer use enmity with its powerful neighbor or UN sanctions as an excuse for a near complete lack of political freedom, indefinite national service and a refusal to hold elections,” writes BBC’s Mary Harper. Ethiopia Prime Minister has hailed the UN for the development shortly after the removal of the sanctions on Twitter, noting that such was significant to the entire Horn of Africa. “The lifting of the sanctions will have far-reaching effects in improving the stability of the Horn of Africa region and in building peace and normalization of relations among the countries of the region,” he had tweeted. “It will further enhance the collaborative gains that we have achieved in the region over the last few months,” parts of his tweet added.